In what will now be the sixth location for Safe Streets, the program set out to put an end to violence in Baltimore, the mission isn't only growing -- but it's working. 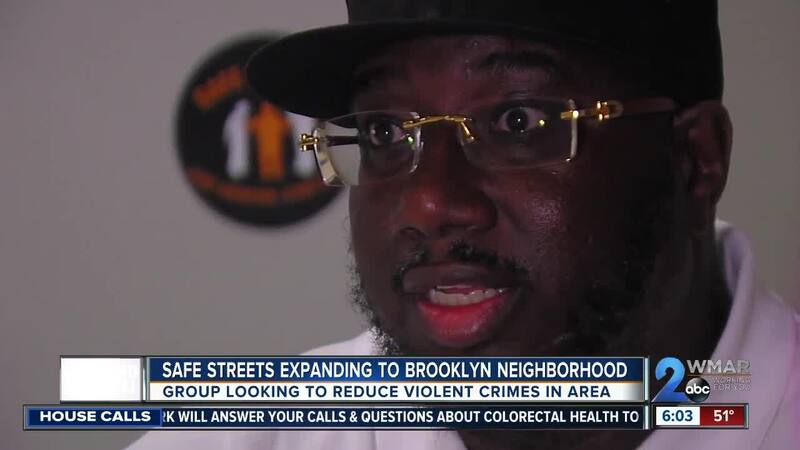 BALTIMORE (WMAR) — In what will now be the sixth location for Safe Streets, the program set out to put an end to violence in Baltimore, and the mission isn't only growing -- but it's working. "Let us be your voice. Let us show you what communication can do, I always tell them when you kiss your grandmother, kiss your mother, or your child or your girlfriend and you'll say see you later, I want to make sure you keep that promise," Cory Winfield, the site director for Safe Streets - Brooklyn, said. He's in charge of Safe Streets' latest push in the Brooklyn/Curtis Bay community and says conflict resolution along with providing resources for those impacted is the only way to lower violent crimes in Baltimore. "It's nothing easy about saving lives and convincing young people that feel like they have no way out and have no voice and the only voice they know is to fight or the gun," Winfield said. From July 2017 to July 2018, the Sandtown-Winchester team -- which Winfield has been part of since the beginning -- has prevented more than 500 violent incidents. The group also prides itself on that near-year stretch of no shooting deaths as well. It was enough to convince Meredith Chaiken. "We have a really wonderful, healthy, vibrant community here but it does have a problem with violent crimes, so we think this is a really appropriate treatment for that," Chaiken said. She oversees the Greater Baybrook Alliance - a community development corporation in Brooklyn. She worked to help this Safe Streets, backed by Catholic Charities, find its newest home. "We are pinpointing where exactly the hotspots for violence and directing them in regards to where intervention is necessary," Chaiken said. Hotspots, Winfield says, don't differ much between Sandtown-Winchester and Brooklyn and adds it'll take community buy in to help reduce crime in all of Baltimore. The newest location will be on East Patapsco in Brooklyn and is set to open in mid-May.